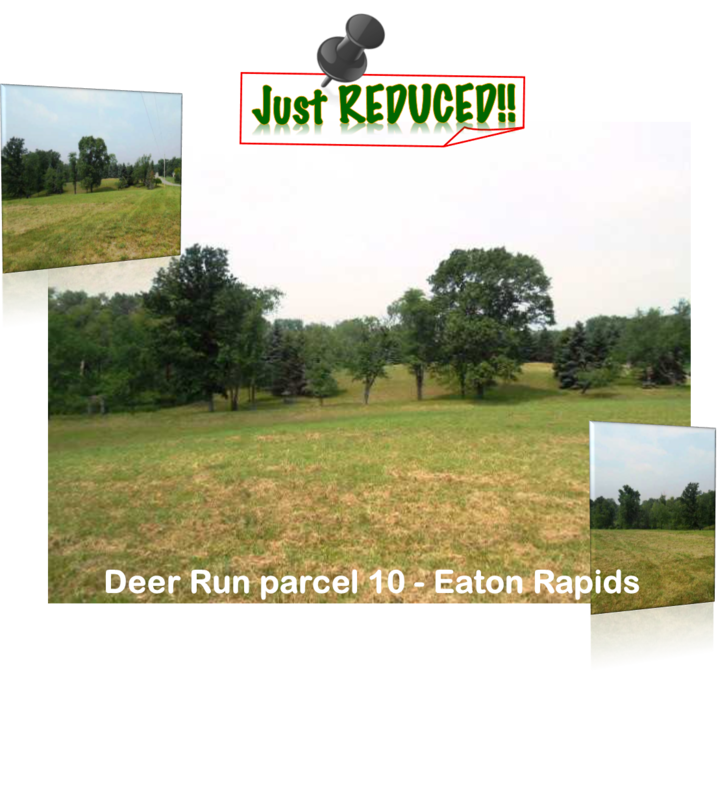 Absolutely gorgeous 10 acre property in Eaton Rapids, located on Deer Run Drivejust 5 miles south of Eaton Rapids off the M-50/M-99 Corridor. This parcel wascreated when 200 acres of pristine property was separated into 20 separateparcels. This parcel offers awesome views, a perfect building site for a walkoutbasement and approval for a conventional type septic system. This land has apark like feel, mowed each season, maintained and lovingly groomed for almost20 years. It is truly a special property. The association dues for maintenance ofthe private road are $200 per year. This parcel can be purchased on its own or with parcel 9 the beautiful 10 acres neighboring parcel 10, totaling 20 acres can be owned for a total price of $125,000.Please call for a copy of the survey and the subdivision covenants. For additional information on this property click here!